Robert Franklin Stroud (January 28, 1890 – November 21, 1963), known as the “Birdman of Alcatraz”, was a federal American prisoner who reared and sold birds and became an ornithologist. Stroud was convicted of murder and ordered to await his death sentence in solitary confinement. Despite his nickname, he actually only kept birds at Leavenworth Penitentiary, before he was transferred to Alcatraz. While at Leavenworth, Stroud found a nest of injured sparrows in the prison yard and raised them to adulthood. Prisoners were allowed to buy canaries, and by the early 1920s, Stroud had several. He occupied his time caring for his birds, which he could sell to help support his mother. Impressed with the possibility of presenting Leavenworth as a progressive penitentiary, the warden furnished Stroud with cages, chemicals, and stationery to conduct his ornithological activities. Visitors were shown Stroud’s aviary and many purchased his canaries. Over the years, he raised nearly 300 canaries in his cells and wrote two books, Diseases of Canaries, and a later edition, Stroud’s Digest on the Diseases of Birds. He made several important contributions to avian pathology, most notably a cure for the hemorrhagic septicemia family of diseases. 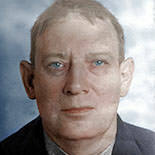 Stroud was transferred to Alcatraz on December 19, 1942. There he wrote two manuscripts: Bobbie, an autobiography, and Looking Outward: A History of the U.S. Prison System from Colonial Times to the Formation of the Bureau of Prisons. 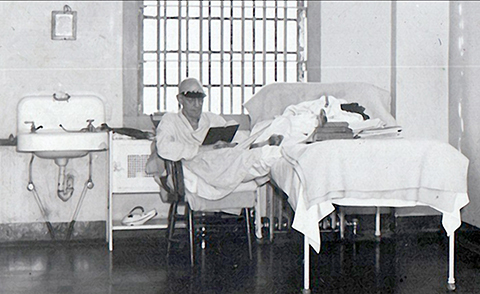 On November 21, 1963, Stroud died at the age of 73, having been incarcerated for the last 54 years of his life, of which 42 were in solitary confinement. He had been studying French near the end of his life. "Always tell yourself that y..."